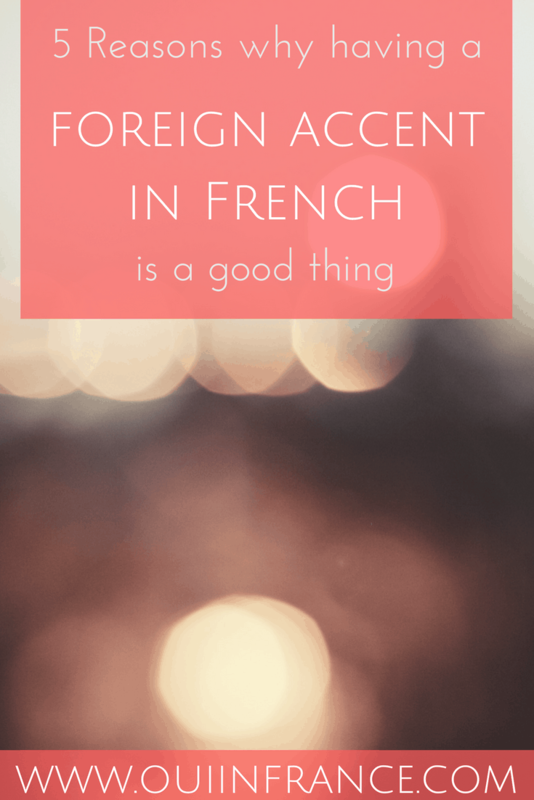 5 Reasons why having a foreign accent in French is a good thing, REALLY! Being a foreigner has its stressful moments — some of which come from language difficulties. When you’re living in France, your whole experience in the country will be affected to some extent by how proficient you are in French. But even if you’re able to communicate with ease, you most likely still have an accent. After living in France for over four years now, I’ve learned that your accent is only an obstacle if you allow it to become one. 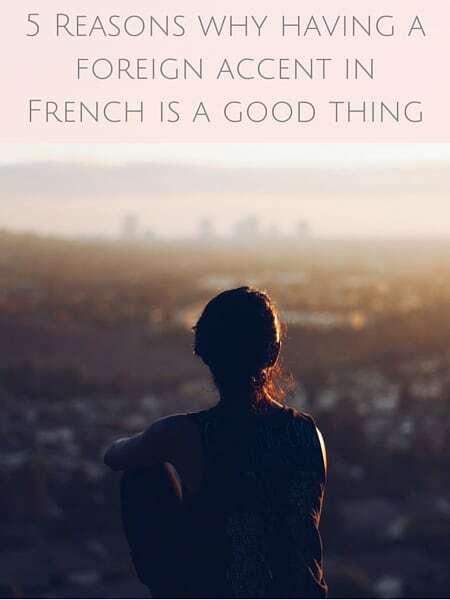 Most of the time, having an accent in French is a good thing! Most of us, no matter how hard we try, cannot erase our accent completely. From the intonation to the pronunciation to sentence structure, it’s a dead giveaway that we’re not French. While that can be a handicap some of the time, having an accent can actually be advantageous. There is a distinction though that I’d like to point out upfront. There’s a difference between a foreigner who speaks pretty much like a native and just has an accent and someone with an accent who has a lower level in the language and makes a bunch of mistakes. 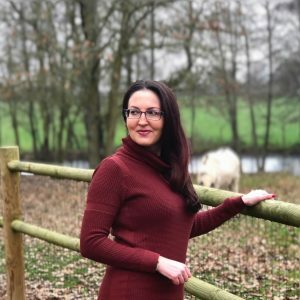 For me personally, I think sometimes I get too into my head and stress over my accent when really the accent isn’t the issue — the real issue is me being hard on myself about not being able to speak French like Tom (my French husband, if you’re new here) can. Few foreigners will go on to speak exactly like a native speaker, but we can try. If I spoke perfect French but had an accent, mentally I’d be OK with that. But the fact that I don’t know every word, that I make mistakes, stumble, have to search for conjugations, etc. are all very real and frustrating issues that come with learning a new language. So if all those things aren’t discouraging enough, having an accent can seem like one more messy glop of icing on the already frosted cake. It’s too much! But don’t despair. … and there will be many! 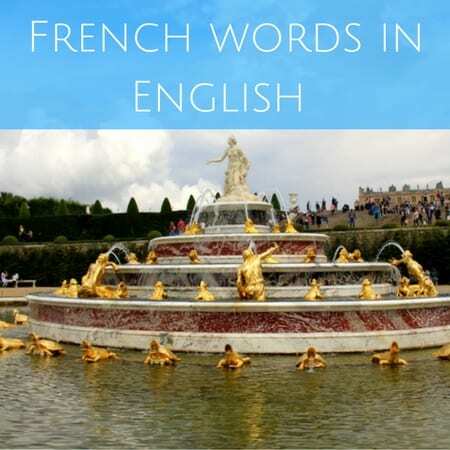 French isn’t an easy language and anyone who has ever studied it will attest to that. It’s only natural to make mistakes! If from the minute you open your mouth (no matter how fluent you are) it’s clear you’re a foreigner, native speakers will be understanding of your grammar and pronunciation errors. But getting them to correct your mistakes is a different story. OK, this tends to be the case in smaller towns like out where I live since everyone is French for the most part. 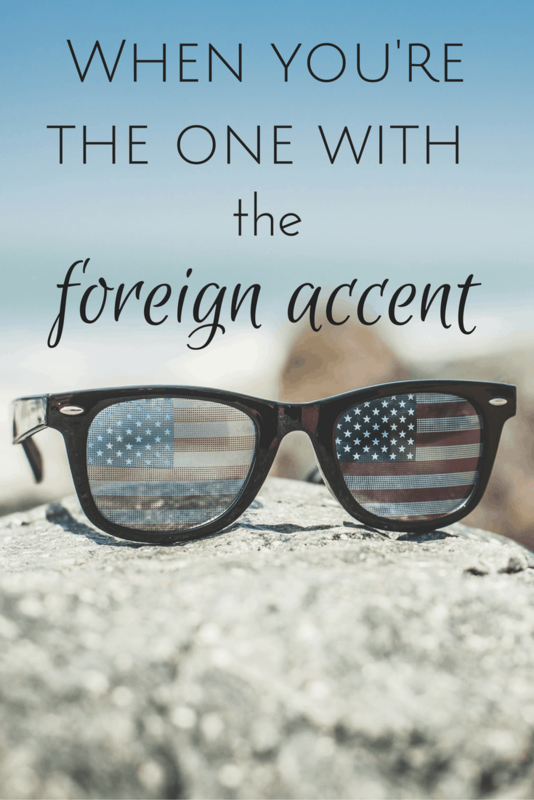 If you’re the only person with a foreign accent, you’ll be easy to identify. Why is this good? You’ll feel a little bit like a VIP. 😉 Back when I was teaching English, all the kids in school cheerily yelled my name and waved every time I passed by them in the hall. They all wanted to get to know The American. I was a bit of a celebrity to them! Flash forward to today, at the gym, pretty much everyone knows my name and nationality even if I’ve never spoken to them. When I call the pharmacy or order a pizza, I don’t even have to say who it is because they know from the minute I open my mouth. No, it’s not because of caller ID; it’s my accent! 4. 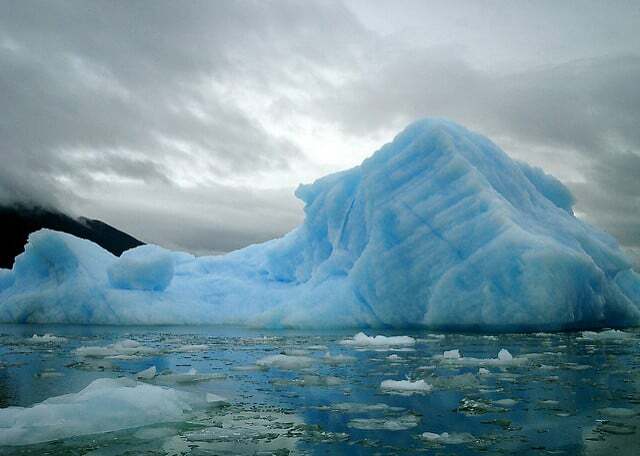 It’s a great ice breaker! If you’re in a social situation, having an accent (I just wrote accident, which I guess would also be a great ice breaker) is a fabulous conversation starter because more often than not, people will ask where you’re originally from (note: French people do ask me this often but I feel like Americans ask foreigners this a lot more than the French do. Social difference, perhaps?). This has been the case at the doctor’s office, an interview, at the gym and even other dog owners Dagny and I bump into while in the park. People hear something different and are naturally curious. Let your accent start the conversation! 5. It makes you different. And that’s cool! Being unique is most certainly a good thing. Whether it’s in the workplace or in your personal life, being different is cool and the French often share their positive impressions of the US once they learn I’m American. I feel like people are less likely to criticize the way you do things as well. So if I make dinner for my in-laws and it’s not what they’re used to, they may write it off as me just doing something the American way. Or how I clean. Or exercise. Or my clothing choices. Or any other “weird” habit. They attribute it to me being American and how things are done in the US. That may or may not be true, but sometimes we get a pass for being different. The point is that we all come from different backgrounds and situations and can learn from each other if we open our eyes! For anyone out there struggling with their accent, remember to hold your head high, make eye contact and speak with confidence. 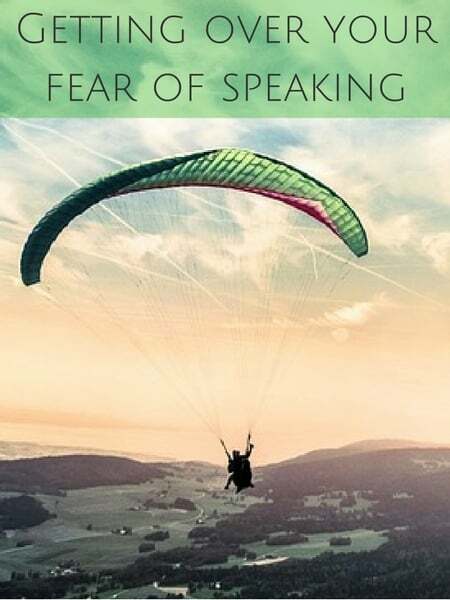 If you appear confident — even if you have to fake it — people’s impression of you will be more positive than if you’re speaking quietly and second-guessing yourself. How has life been for you with an accent? My kid’s friends try to mimic my accent. My husband says sometimes I use words that sound academic or eggheady because I pick a French version of a perfectly common English word…except the French version isn’t common. On the other hand, when I joined the PTA, one of the dads constantly treated me like an idiot, probably because of my grammatical mistakes. He eventually came around. Our child on the other hand speaks English like an American, slang and all (thanks YouTube) and French with the accent of the south (which gives relatives in the north much mirth). Yup, totally know what you mean and it’s the use of the French word in English that I encounter more often than the reverse. I may do a post on this soon if you want to collaborate! Je lis ton blog régulièrement et je m’amuse ! Tout ce que tu dis de la France et des francais est vrai , tu as beaucoup d’humour et j’aime ça . Joelle ps – j’apprends aussi bop sur les Americaine que les francais adore !! That’s really interesting what you said about words that sound academic or eggheady. I feel like sometimes the French word sounds so formal and if you use that same word in English, while it exists and means the same thing, people will think you’re pretentious (or studying for the SATs). Example? Saying améliorer/ameliorate. Totally normal in French to use that verb to say je veux améliorer mon anglais but in English I feel like the more common way to express the same sentiment would be I want to improve my French. You can say ameliorate but it’s way less common. Is that the kind of thing you mean? Trying to think of the reverse where an English word may sound eggheady in French. Maybe you want to do a collaborative post? Really interesting topic! One more word about the French sounding more formal . Very easy to explain , the fact is we haven’t got parasail verbs and the use of parasail verbs for the French to sound more fluent is a nightmare to learn , in other words the English language seems richer in vocab because you have sort of wider range of verbs that expresses more accurately what you mean . Row : rang . ????? That’ some pounding to do for your compatriots who complains that French is awfully difficult . A few months ago I was in line at our local boulangerie and I noticed a man I knew in front of me. Before he got his baguettes the second sales lady was ready to take my order. As soon as I spoke the man turned around to say hello – he immediately knew who was behind him. We both had a good laugh. I’m French from Vietnamese parents so I look Asian. When I speak English with my French accent here in Dallas, Texas, I can tell that people are a little bit intrigued. I know some expect me to have a chinese accent or when they know my last name, they expect a Vietnamese accent. It gives me an occasion to tell my story starting from my parents. Very cool — I think it’s really important to set people straight and dispel any assumptions or stereotypes. Not all French people look the same so glad you do get the occasion to tell your story! I forget if you speak Vietnamese as well? Any plans to travel to France in the future, Jo-Anne? I think you’d like it 😉 Glad you enjoyed the post! Being different is totally cool. I question whether people are telling the truth when they say “my accent is cute.” I can’t stand it but I can’t change – it is who I am! It is a great conversation starter. I think they’re totally telling the truth. At this point I just embrace it. At least you’re in Paris where accents are pretty common. Here, I open my mouth and heads turn from all directions. But at least it keeps things interesting. Have a wonderful weekend! My French tutor tells me my accent is good but my ami tells me it is jolie and exotique! Hilarious. All those things overlap. Good and exotique and jolie all go together! Bonne continuation! I only started doing this recently here in Germany (speaking with a French accent on purpose, though I speak German almost accent-free), because I was tired of officials looking at and thinking I’m a total idiot for asking really basic administrative or vocabulary questions at my age. People become a lot more friendly, interested, helpful and forgiving. So I can fully support this! To the point of saying that, perhaps it’s best to keep your accent and not try to change it! After spending over 20 years in Germany, I still speak German with a light French accent and it has always opened doors! Curiously I’m not sure about my French accent here in the States. Americans don’t react ecstatically like Germans when I speak. Maybe because many people have an accent?